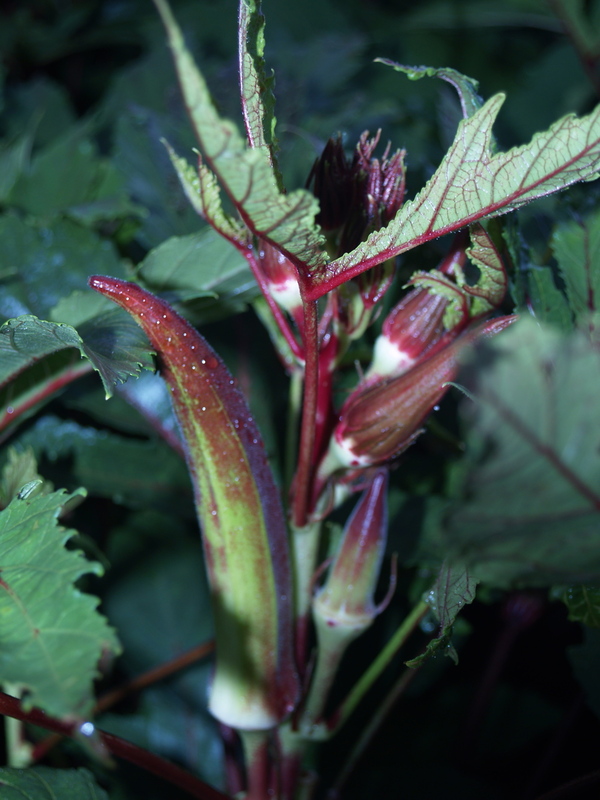 Last night as I was picking my red okra, I was thinking of anthocyanins. I am sure that is what all okra pickers think about (okay, maybe only the really nerdy ones like me). The pigments that give okra and purple carrots their unique hues are called anthocyanins. These are natural sunscreen agents the plants use to protect themselves from the sun. In fact, I have noticed if a red okra pod is hidden under the leaves it doesn’t get as red. While the anthocyanins can protect the plant from the hot Arkansas sun, they can help us prevent cancer. This is just one of the antioxidants in our rainbow of protective plant compounds. Antioxidants help protect us from the array of damaging compounds called free radicals we encounter on a regular basis. Free radicals can cause damage to our DNA in ways that might promote cancer. These antioxidant compounds also help reduce inflammation. For cancer prevention, it is important to fight inflammation because inflammation contributes to the formation of new blood vessels that cancer uses to feed itself. This process is called angiogenesis, which is just Latin for vessel creation. Red okra is not that commonly available, but don’t worry there are lots of different sources of anthocyanins. The purple and red fruits and vegetables are great sources so you can grab purple cabbage, purple potatoes, plums, dark grapes, strawberries, raspberries, blueberries and black berries. Black beans and blue corn are other great ways to get these protective compounds. Also the pigment that gives eggplant its purple color is called nasunin, an anthocyanin that has been found to remove toxic free radicals from the tissues and reduce angiogenesis. You don’t have to stick with just the purple varieties of foods. Every color in the produce world represents a different antioxidant. To read more on cancer fighting foods sign up for a free account with the Eat To Defeat Cancer campaign from The Angiogenesis Foundation.